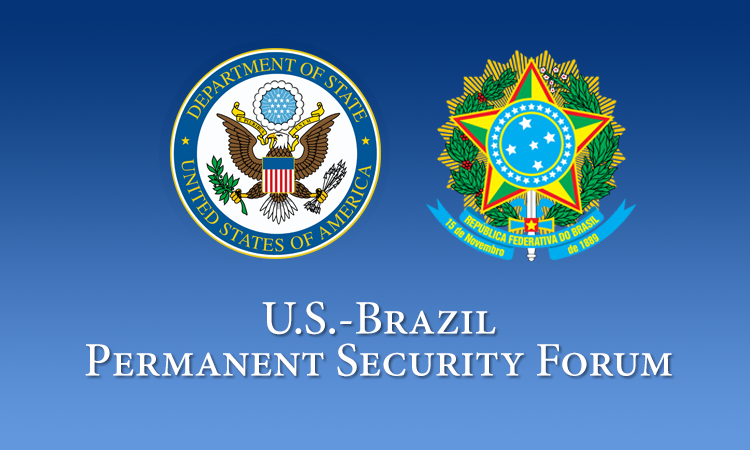 Brazil and the United States enjoy a strong military-to-military partnership. 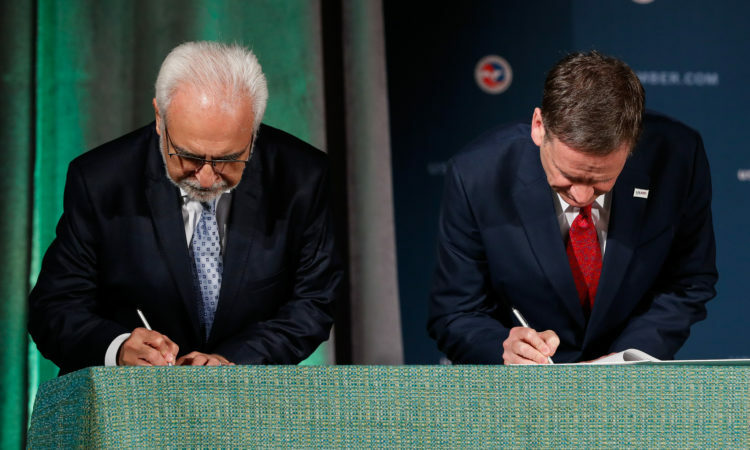 We look forward to further strengthening our cooperation under the leadership of our two countries. 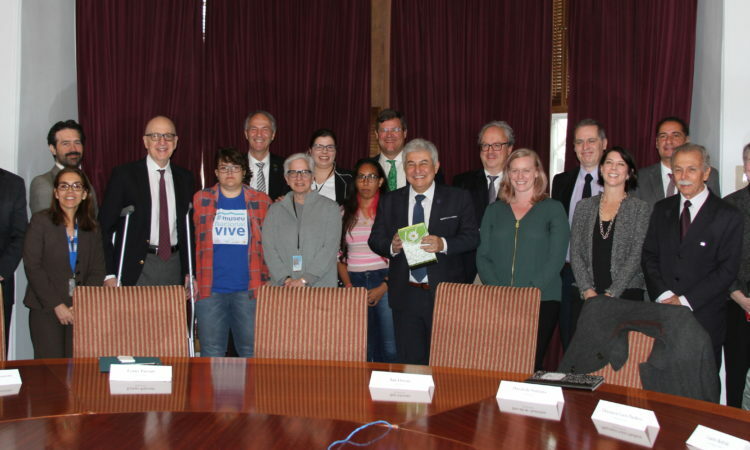 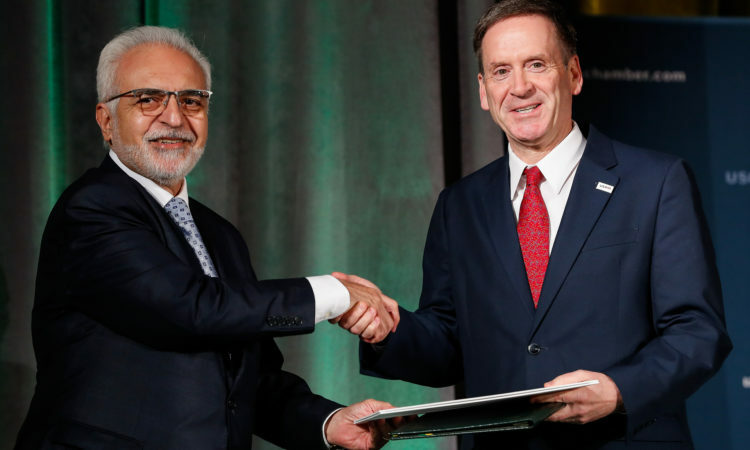 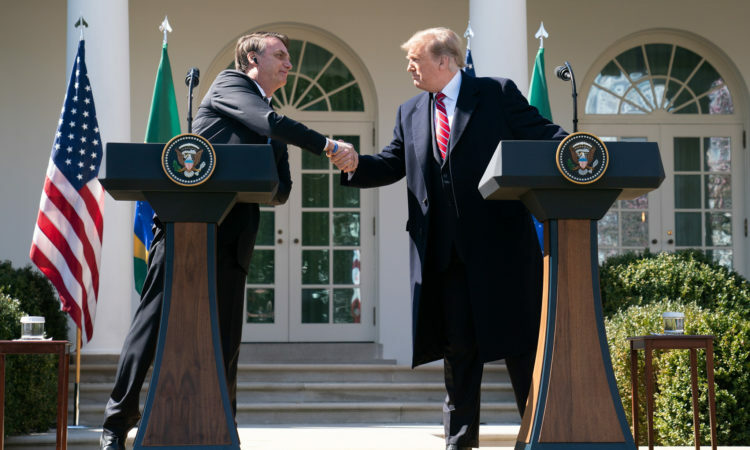 Today, United States Agency for International Development Administrator Mark Green and the Brazilian Secretary of the Office of International Relations within the Ministry of the Environment, Roberto Castelo Branco, signed a Letter of Intent to work toward the launch of the first-ever biodiversity-focused impact-investment fund for the Brazilian Amazon. 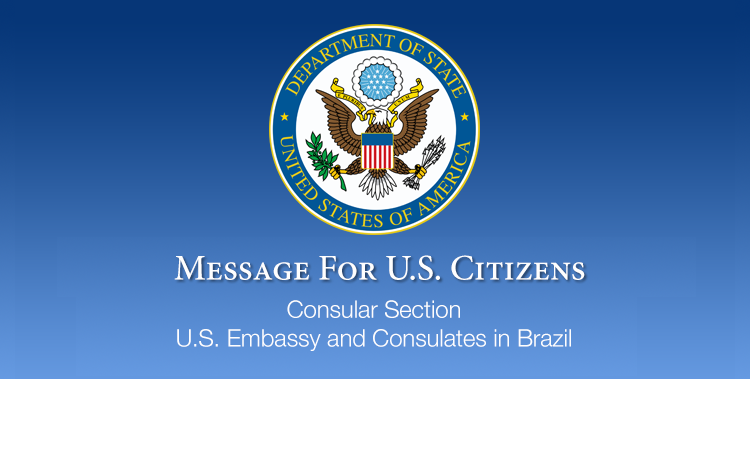 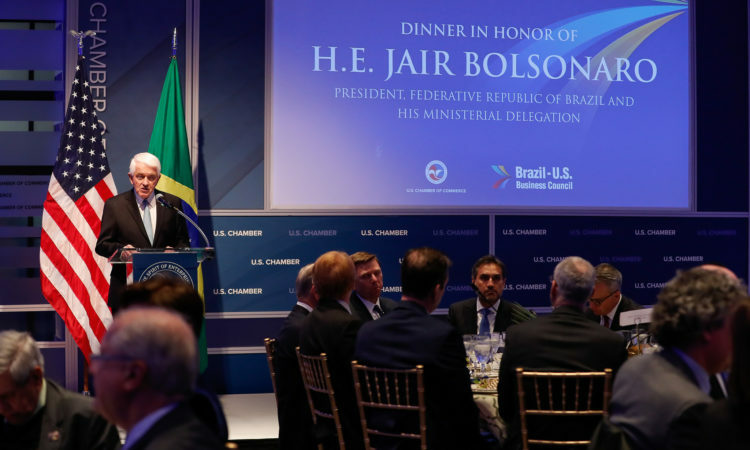 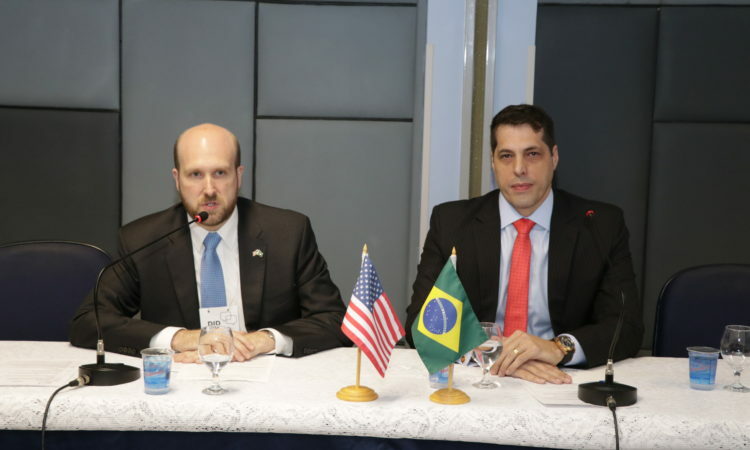 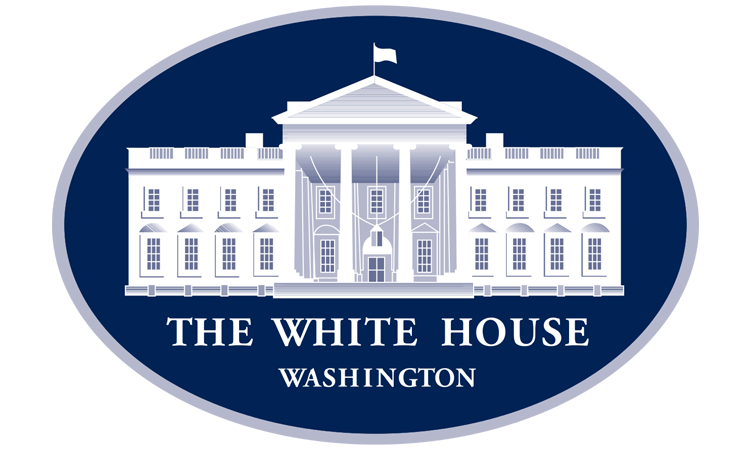 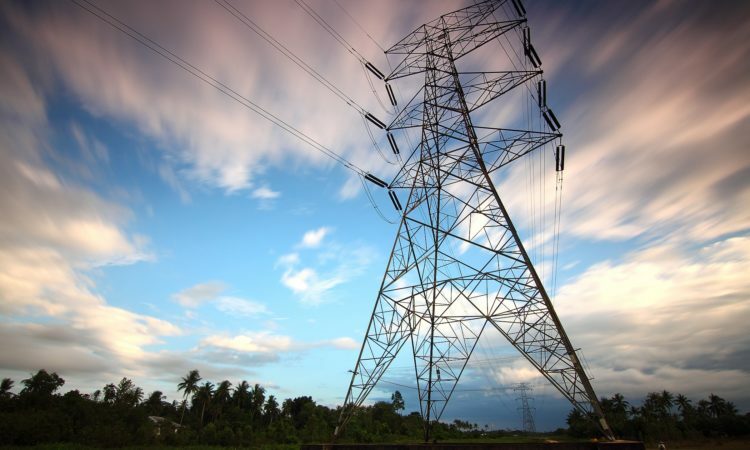 The U.S.-Brazil CEO Forum was established in 2007 and brings together up to 12 U.S. and 12 Brazilian CEOs to develop joint recommendations for both governments on how to increase bilateral trade. 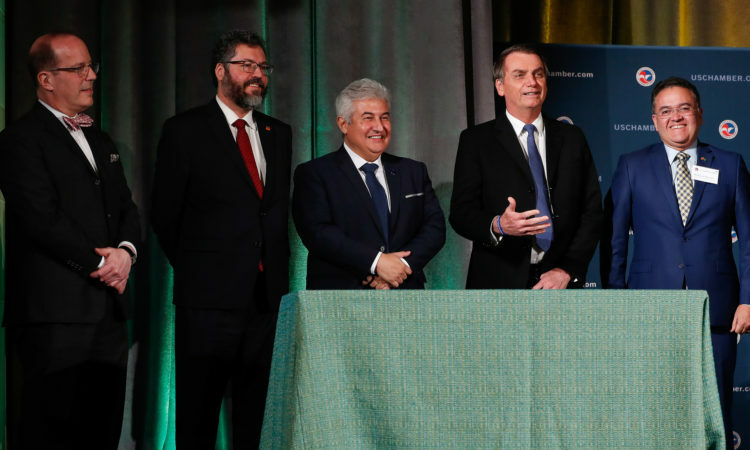 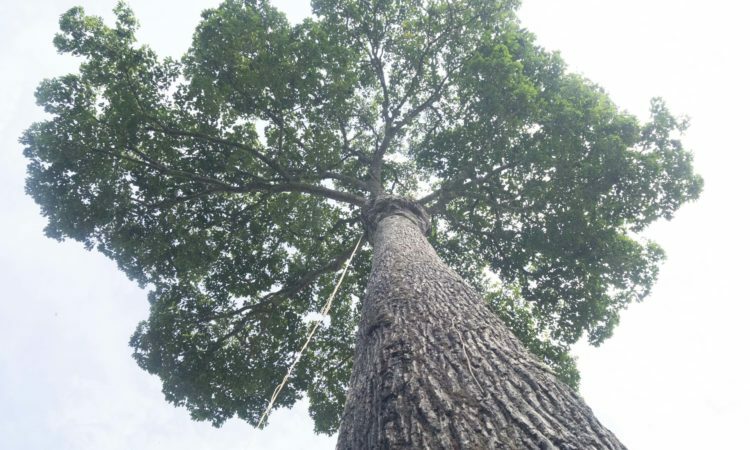 The Governments of the United States of America and the Federative Republic of Brazil have collaborated, over decades, to conserve the biodiversity and promote the sustainable development of the Brazilian Amazon. 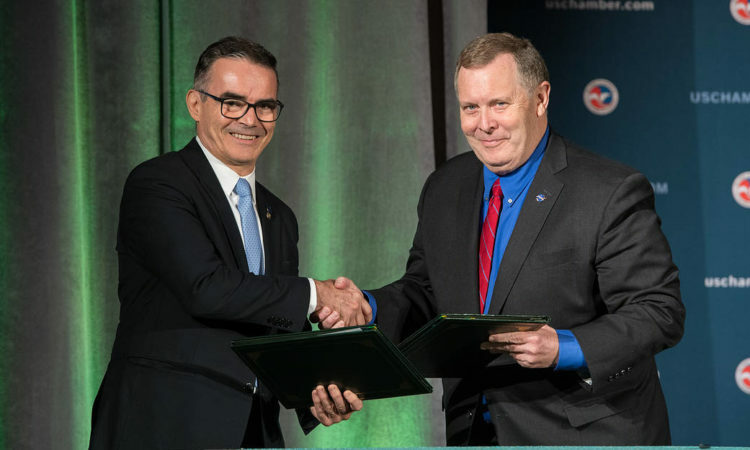 NASA Deputy Administrator James Morhard, right, shakes hands with President of the Brazilian Space Agency (AEB) Carlos Augusto Teixeira de Moura, left, after signing an agreement for cooperation on the Scintillation Prediction Observations Research Task (SPORT), an upcoming NASA-AEB heliophysics CubeSat partnership on March 18, 2019, at the U.S. Chamber of Commerce in Washington.